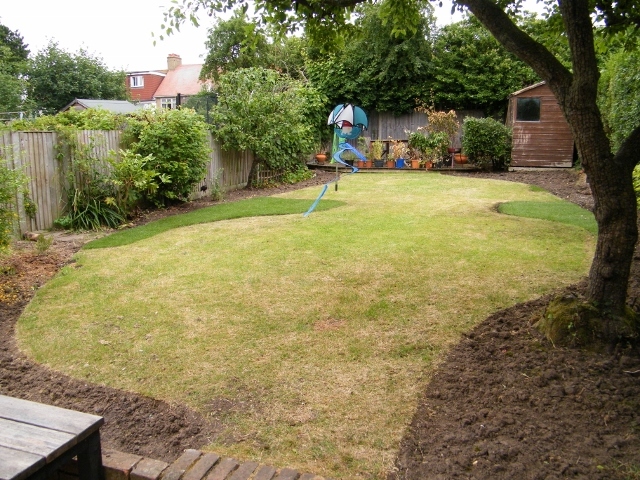 The medium sized family garden was transformed into a functional space which felt open and child friendly. 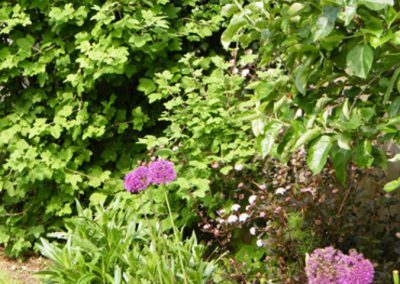 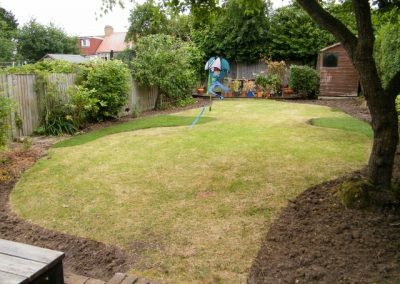 The changes were made on a relatively low budget.Appropriate plants were selected for the shady areas and sunny areas of the garden.They were combined so that interest and colour are provided throughout the year. 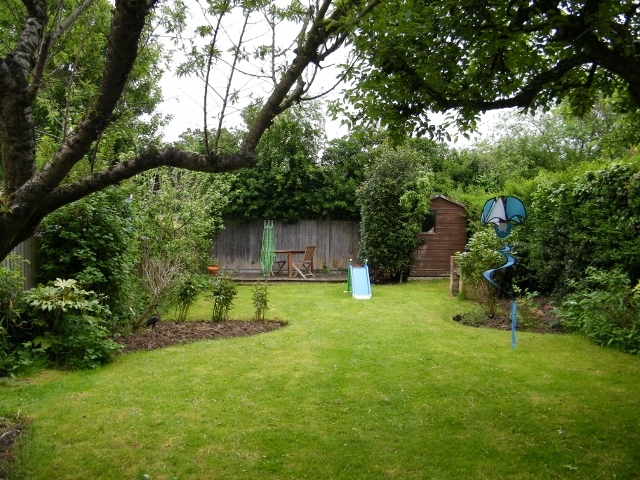 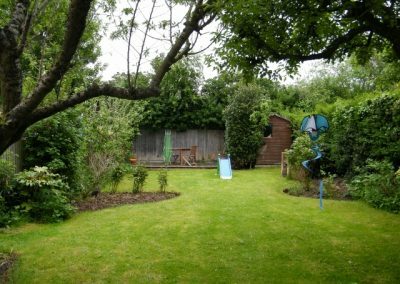 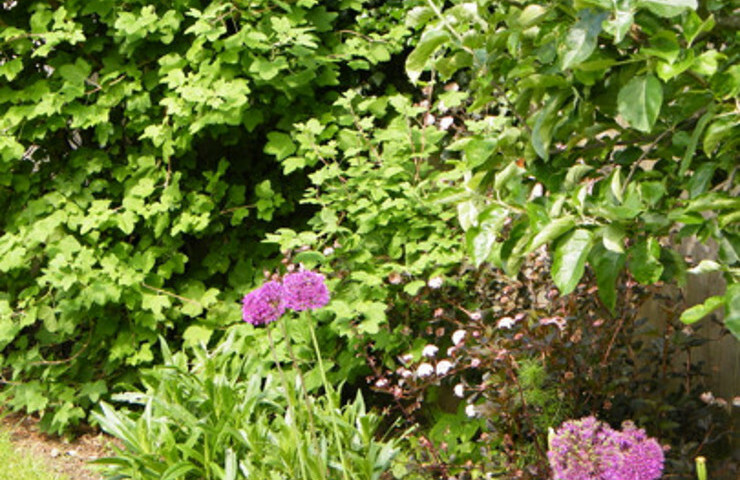 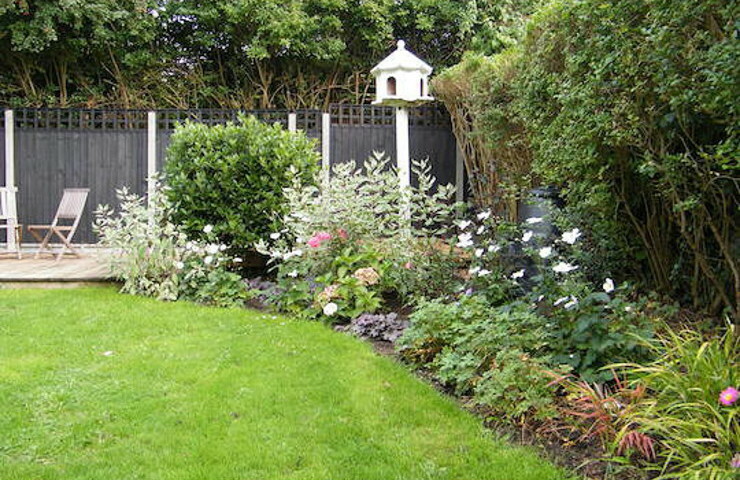 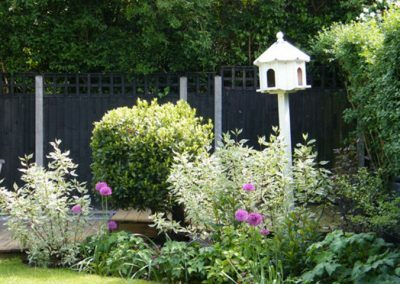 The garden is relatively low maintenance which is ideal for a busy family. 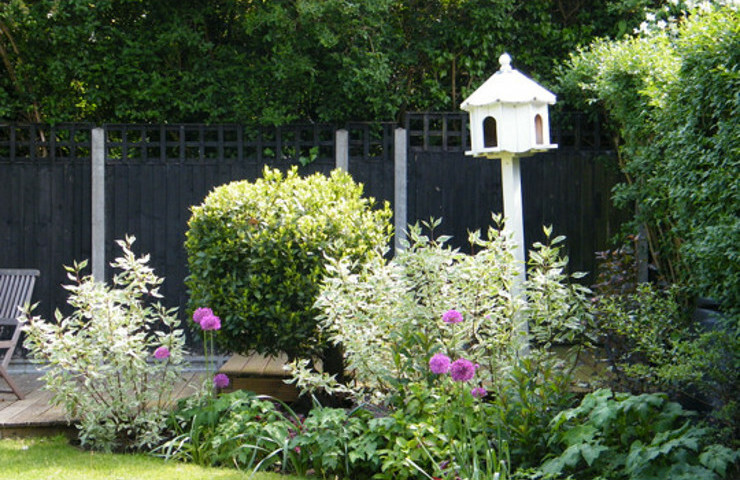 The client requested soft blue, purple, pink and white combinations of flowers to create a calm atmosphere. 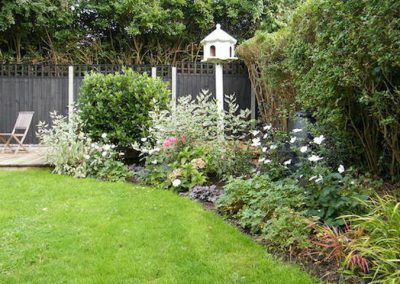 The plants were sourced from Evergreen Exteriors in Banstead.The fence in the background was painted black to help it recede visually and to accentuate the colours in the garden.